One of the greatest customer service challenges we face regularly is making sure that a new dust mite proof zippered cover arrives on the same day as a customer’s new mattress. Everyone wants the guys delivering the mattress to put the new dust mite mattress cover on their new mattress. Great idea and we are always happy to accommodate. But it did get me thinking, “Why are so many people with dust mite allergies buying a new mattress?” After doing a little research, it turns out that there is some misunderstanding going around about mattresses, pillows, and dust mites. It is true that a sizable amount of an old mattress’s weight is due to the collection of dead skin particles, dust mites (living and dead), and dust mite feces. However, if you get a new mattress, within 6 months you will have already started a new collection of these particles. I am sure that the mattress salesmen of the world would like you to buy a new mattress every 6 months, but that really isn’t practical now is it? 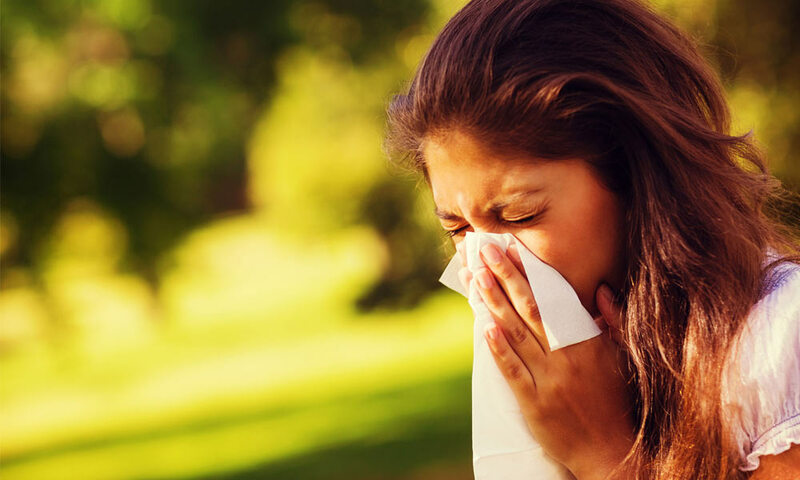 The truth is whether you have allergies or not, you should follow the advice of Consumer Reports and only replace a mattress when it no longer provides the comfort or support you need to get a good night’s rest. If you have dust mite allergies, the most important thing you can do for your mattress is encase it in a zippered mattress dust mite proof encasing. This is true of a mattress that is 10 years old and it is true of a mattress that is 10 days old. Don’t fall for claims made by manufacturers of latex, foam, and wool mattresses that their products do not need a dust mite mattress cover. It is true that the lanolin in wool repels dust mites, but it is also true that the very same wool will capture and hold all the allergens to which it is exposed. Latex and memory foam are dense, but not so dense that they don’t harbor mites and other allergens. Also, every so often you really should clean your mattress (yes, even if you have a cover on it). Your mattress influences your health beyond just comfort and support. If you’re not familiar with the ways on how to clean and maintain your mattress, then you’ll love this infographic from ASleepyWolf.Com. It is an informative guide on mattress care! I slept on an old soft-sided waterbed for many years. You might think that dust mites can’t live in a waterbed. Wrong! The padded foam that encapsulates the water cells is a perfect place to capture dust mite allergens. So even though I could not put a zippered dust mite cover on my bed, I had a fitted style cover. The people that sell pillows would like you to buy new pillows every 2 years. I sell pillows and I would love to sell you new pillows all the time as well. However, I will be honest and tell you that you should buy a new pillow when your old one is no longer comfortable. If you have dust mite allergies, just make sure you have a dust mite proof cover on the pillow.